In today’s context, it is important to understand the essence of democracy, the electoral process and learn to analyze political programs. 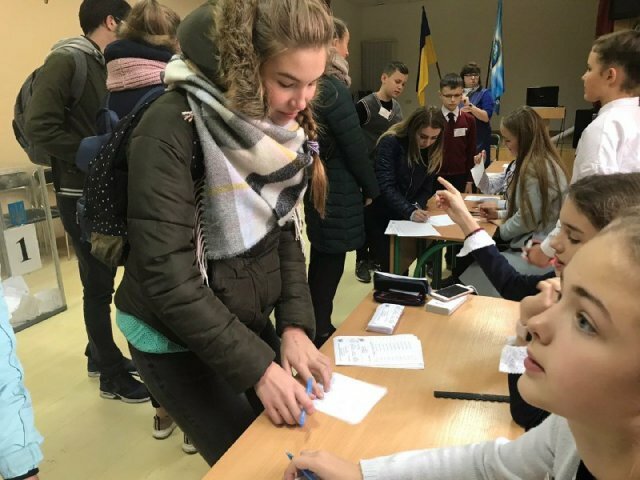 Such a possibility was made by the students of our school who took part in the All-Ukrainian simulation game “Party of my dreams”. The Speaker of the School Parliament, Anna Inozemets, along with the members of the Legal Committee, informed the school’s students about the international project M18 and its importance in the formation of social activity and social competencies. The programs of the parties that participated in the elections were placed on the information stand in the second floor recreation. Voting took place on the basis of the First City Gymnasium. The goal of the game is to attract children and young people to social life, the process of conscious choice of power, overcoming stereotypes about political activity. The main feature of the “Party of my Dreams” election is that children and young people make their choice not by the name of the party or by the name of its leader. The founders of the project emphasize that this is not the politicization of the school, but the education of an active citizen. 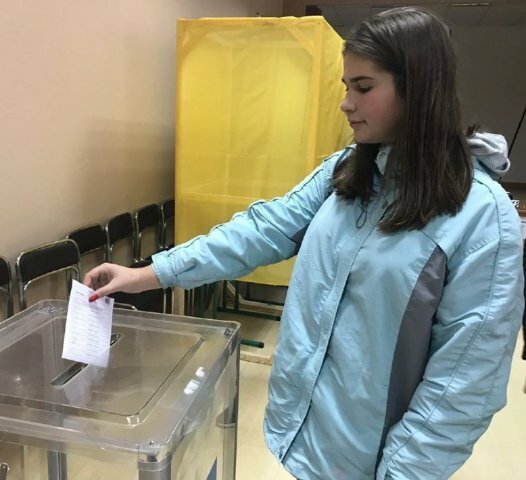 It is nice to note that schoolchildren joined the polls and gained experience of conscious choice. Read more. In 2015, an international project “M18: We Can Be More!” was launched in order to increase the civic participation of children and young people, and the formation of a democratic culture of the younger generation in Ukraine. 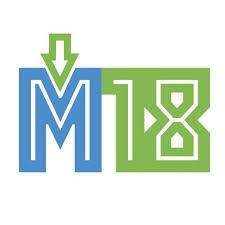 Project M18 “For the Development of Civic Activity of Children and Youth in Eastern Europe” is supported by the Ministry of Foreign Affairs of Germany in cooperation with a number of public organizations and educational institutions.